We'll email you the contents of your shopping cart, so you can easily continue where you left off on your next visit. Officeworks at URL https://www.officeworks.com.au with logo has the facebook http://www.facebook.com/officeworks, the twitter http://twitter.com/officeworks, the instagram http://www.instagram.com/officeworks and the youtube channel http://www.youtube.com/user/officeworks. Professional graphic designs when you need them. Our team will help you with the right print solutions for your business. An Officeworks Business Account allows you be recognised as a business when you transact with Officeworks. As a Business Account holder, you can apply for a 30 Day Business Account, which allows you to purchase your Officeworks goods on credit and then be invoiced on a monthly basis. This will allow you to keep your business spending separate to your personal shopping and keeps all your transactions in order come tax time. Customers with a registered ABN or ACN can now apply for a Business Account and further to that, a 30 Day Business Account. An Officeworks Business Account gives you the ability to control and manage your workplace’s shopping experience online. It’s simple, quick, and convenient. Features that are available to Business Customers can be found in Organisation details, and the extra functions available to 30 Day Account Customers, under the 30 Day Business Account. You can add multiple addresses to your Business Account. This makes the ordering process quick and easy. From the ‘My Account’ page, simply click the ‘Manage Delivery Addresses’ link. By default, you must be an Administrator for your Business Account in order to manage addresses. If you are not an Administrator then you may also be able to manage addresses if your Administrator has allowed this in Account Settings. As an Administrator for your Business Account, ‘Account Settings’ makes it easy for you to control how your contact people interact with your Officeworks Business Account. Display prices inclusive of GST By default, we display all product prices inclusive of GST. You can change this option if you would prefer to see product prices excluding GST. Allow Click & Collect By default, you can place a Click & Collect order online and choose to collect it from a store. As a Business customer you can disable this option. Allow addresses to be managed by contacts Only account administrators will be able to access and manage the Account Settings options. Purchase order required for all orders Only account administrators will be able to access and manage the Account Settings options. You can now manage the contact people for your Officeworks Business Account online. You must be an Administrator for your Business Account in order to manage contact people. Click the ‘Save Changes’ button to save your changes. Click the ‘Reset password’ link. An email will be sent to your contact person’s nominated email address. Containing a link to reset their password. A message will appear asking you to confirm your actions. Once you have deleted a contact person from your Business Account then that person will no longer be able to login or place orders for your Business. An Administrator can manage the contact people, addresses, and options for your Business Account. Click the 'Save Changes' button to save your changes. You can also downgrade an Administrator to a regular contact person by selecting ‘Member’ instead. Order approvals, can be setup on your account to help manage your company’s spending. Any orders that meet the approval requirements, will pend until approved. To set this up, you must create an order rule and an approval group. If you are an Administrator, you can create, edit or delete order rules from the ‘My Account’ page, by clicking on the ‘Manage order rules’ link. If you are an Administrator, you can create, edit or delete Approval Groups from the ‘My Account’ page, by clicking on the ‘Manage approval groups’ link. If you are an Administrator, you can apply or remove order approvals on a contact. Once a rule is selected, the ‘Order Approval Group’ dropdown will appear. Select the appropriate approval group. If you are an approver on your account, you will receive an email notification informing you that an order requires your approval. To view orders which are pending for approval, from the ‘My Account’ page, simply click on the ‘View Pending Orders’ option, within the Orders box. Ordering for Cost Centers, Departments or Sites through your account. This feature enables you to place orders and have the cost attributed to a cost center, department or site that has been setup for your account. This feature must be enabled and applied to your account through discussions with your Business Specialist. If you have cost centers / departments / sites setup within your account, you must select the appropriate cost center department or site during online checkout. Cost centers, departments or sites, can be restricted for certain contacts through your Business Specialist. Under ‘Cost center / department / site’, click the ‘Select Branch’ button, to display the available cost centers, departments or sites. You can view Invoices, and also pay unpaid invoices online, for your Officeworks 30 Day Business Account. To view paid invoices, from the ‘My Account’ page, simply click the ‘ View Paid Invoices’ option within the 30 Day Business Account box. To pay an unpaid invoice, from the ‘My Account’ page, simply click the ‘Pay Now’ button or the ‘View Unpaid Invoices’ option within the 30 Day Business Account box. On the Unpaid Invoice page, you will be able to select the invoices you would like to pay, and progress through to pay for the invoice via credit card. Any credits applied to your account will be available for you to select and use as payment on this page. If you have a personal shopping account, or a business shopping account, you have the ability to upgrade to a 30 Day Business Account through ‘My Account’. From the ‘My Account’ page, simply click the ‘Upgrade to a 30 Day Business Account’ link to progress through the online credit application process. As a 30 Day Business Account customer, you will have access to digital cards on mobile devices, to shop instore and easily transact on your account. Account administrators are automatically equipped with a digital card. Contacts who are not administrators, must be given access to a digital card by an administrator. From the ‘My Account’ Page, simply click on the ‘Shop in store now’ button. As an Administrator, you are responsible for assigning digital cards to any contacts listed on your account. From the ‘My Account’ Page, simply click on the ‘Manage 30 Day Business Cards’ button. Select the existing contact or create a new contact, who you would like to apply digital card access to. If required you can also request a Plastic card in conjunction with a digital card. From within ‘My Account’ simply click the ‘Manage 30 Day Business Cards’ link and further select the manage button against the card you require a plastic card for. Am I eligible for a Business Account? There is no business too big or small to hold an Officeworks Business Account. If you have a valid ABN number, pass a credit check and can provide the relevant forms of identification needed in the application process then your business should qualify for a Business Account. You can apply online by filling in a quick and easy form. Can I delete a user? You must be an Administrator user for your Business Account in order to delete a user. You cannot delete yourself. Can I enter a purchase order number when ordering online? Yes. Simply enter your Purchase Order number in the appropriate field when you reach the checkout page. As an administrator of the account, you can also make this a mandatory field for all contacts on your account. Can I increase my credit limit online? If you have a 30 Day Business Account, you may find that the credit applied to your account does not meet your business’ requirements. From the ‘My Account’ Page, simply click on the ‘Apply for credit increase’ button. You will be directed to a page, displaying information on how to submit your credit limit increase request. Can I reinstate a user after I have deleted them? If you are the Administrator for your Business Account then please call our Customer Service Team on 1300 633 423. Do product prices include GST? By default, we display all product prices inclusive of GST. Change the ‘Display prices inclusive of GST’ option to be ‘NO’. This change will be automatically saved. You must be an Administrator user for your Business Account in order to change this setting. How do I become an Administrator for my Business Account? If you are the person who originally registered your Officeworks Business Account then you will already be the Administrator. If this isn’t you, then you will need to ask your Business Account Administrator to upgrade your account. How do I know if a product has business pricing? If you are an Officeworks contract pricing customer, an icon will appear on all contracted products to let you know that your contract pricing applies. 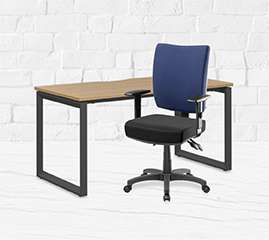 As an Officeworks contract pricing customer, you can view a list of your contract priced products by clicking on the ‘View my Contract Price List’ link on the ‘My Account’ page. Alternatively, you can search for products using the search box in the top-right corner of the screen, and then click the ‘Show only Contract Prices’ button. This will show only contract priced products that match your search criteria. How do I login as a business customer? Simply visit officeworks.com.au/business and log in using your Business User ID and Password. If you currently only have a 30-Day Account set up, your login details will still work on the business site. How long does it take to be approved for a 30 Day Business Account? You’ll receive a response on your 30-Day Business Account application via email within 3 business days. How soon can I place an order with my account? If you are a standard business customer, straight away! If you have applied for a 30 Day Business Account, once you receive confirmation that your application has been approved, you can purchase online by logging into your account, or in-store using your digital card. What do I do if my company ABN has changed? A change of ABN is not permitted on an existing 30-day account. If a company is trading under a different ABN, you will need to apply for a new 30-Day Business Account under the new ABN. What line of credit can I receive? The credit limit available to 30 Day Business Account holders varies depending on your specific business needs and credit history. As you will have 30 days to pay your invoice once the application is approved, please consider both your everyday business essentials as well as your future needs and one-off purchases, such as computers, storage and furniture when selecting your required credit. When will I receive a statement for my 30 Day Business Account? Monthly statements will be emailed on the second business day of each month, to the account email address attached to your 30-Day Business Account. Where can I email remittance advice for my 30 Day Business Account? Who can manage my addresses? If you have a Business Account then by default all of your users can create, update, and delete addresses that belong to your Business Account. Change the ‘Allow addresses to be managed by non-admin people‘ option to be ‘NO’. eg. Where is my delivery? Get email updates with our latest catalogues, new products, tips and advice. Copyright © 2008-2019 Officeworks Ltd.